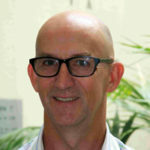 Mark is the RANZCOG Fetal Surveillance Education Program (FSEP) Manager. Mark coordinates the ongoing strategy, research, development and delivery of the FSEP suite of educational resources and services. He writes and lectures on fetal surveillance, with an emphasis on CTGs, across Australia, New Zealand and internationally. Mark maintains his clinical skills as a midwife and Associate Unit Manager in the Maternal Fetal Medicine Department at Monash Health in Clayton, Victoria. He has 20 years of experience in performing ultrasound and caring for women with high risk pregnancies. Mark’s critical care training and Bachelor of Education (Studies) complement his 40 years of clinical nursing and midwifery experience. Mark is currently undertaking a PhD through Monash University.